The string of islands east of Bali are a fascinating region of Indonesia to go birding, and one that’s growing in popularity. Access to the main islands is pretty easy, and the sites themselves are not difficult to reach. For those that try birding in the Lesser Sundas very high endemism awaits, plus some fascinating scenery and culture. Browse sites from the map or the table. Each site page will show links to birding trip reports, guides and other content that is relevant. Help us keep this information up to date by posting your experiences back here as comments. Lombok The short hop across Wallace's line ensures a trip to Lombok has birds to make it worthwhile. Komodo Famous for giant lizards, but also great for Yellow-crested Cockatoo! Flores Great scenery and great birds. The large selection of endemics ranges from the easy to the very hard. Wetar Not an easy place to get to, but anyone who tries it will be rewarded with a selection of endemics that very few people have ever seen. 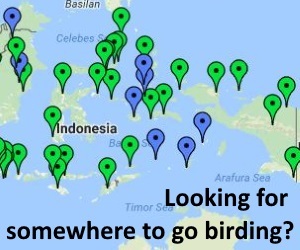 Sumba Easy roadside birding, beautiful scenery and amazing local culture; and a ton of endemics! 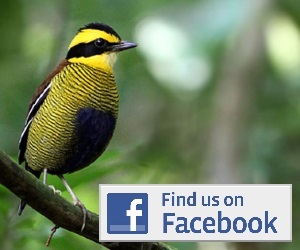 Timor Easy access to some great sites and birds. A trip to Timor is well worthwhile.